When you’re busy and you have CDs to print, it’s difficult to manage changing ribbons up and everything else you need to do. That’s why we carry this handy transfer ribbon rack for P-55 CD printers. This ribbon rack is compatible with TEAC transfer ribbons. Switch transfer ribbons at a moment’s notice without any downtime or interruption of production. 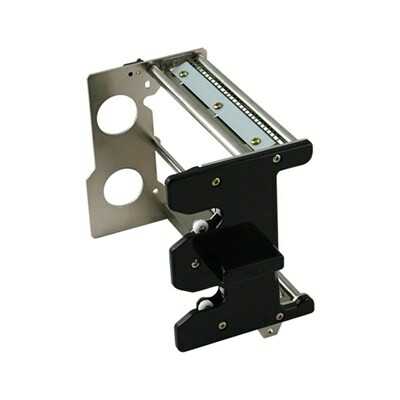 This TEAC ribbon rack is compatible with TEAC transfer ribbons. With this rack and a P-55 transfer ribbon, you can have a complete setup ready to swap in and out of your P-55 printer at a moment's notice. This allows you to quickly change transfer ribbons in your P55 thermal printer without any downtime.